Classic diesels and electrics carry trains over the road. Other trains do the work that keeps the railroad running. 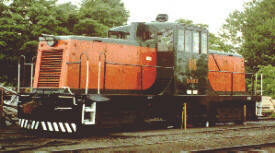 Switchers are smaller locomotives who work in freight yards and passenger stations. They move freight and passengers cars around the yard, switching them to other tracks so they can be assembled into longer trains. 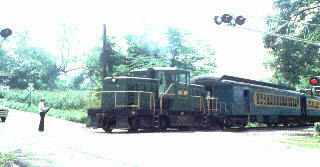 The green switcher here and the black Staten Island switcher on the other page are those normally seen in freight yards, although many have been replaced by road switchers. The smaller switchers are used in small yards and stations with tighter curves and less room. 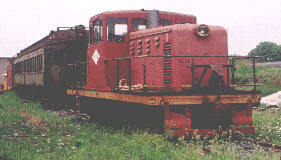 Switchers are not as powerful as over-the-road locomotives, so they do not haul long trains. 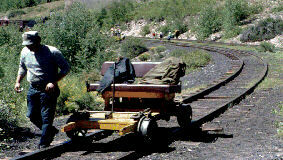 Switchers only carry a few cars, and small switchers might only carry one car at a time. Railroads in America need snowplows to keep the tracks clear. 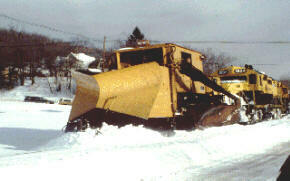 In the West and North, large snowplows are used because snow can get very deep in only a few hours. Another snow car is the flanger, which clears away snow inside the tracks. It looks like a boxcar. Cranes of all sizes are used for different jobs. They are important when work crews are putting down track or doing repairs on bridges and structures. 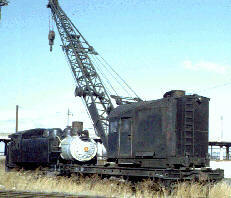 Cranesare also used to clear cars and locomotives if there is a wreck. Sometimes work train crews must work far from home. 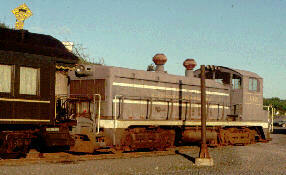 Railroads used to have old boxcars which were fitted with bunlk beds and windows. 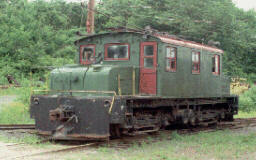 Tioday, they use old cabooses and passenger cars. Most railroads paint them bright yellow or orange for safety.